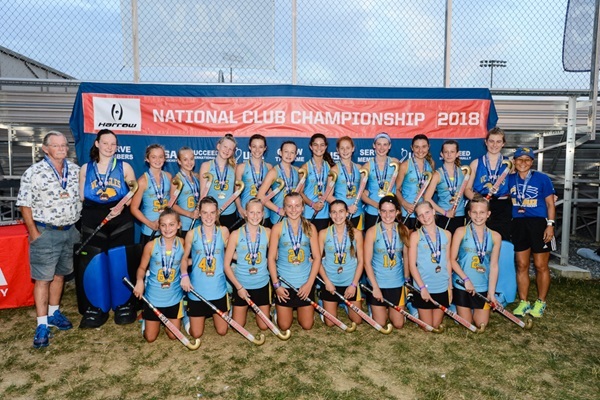 At the end of nine days of national competition at the Nook, from the 9th to 17th July, W C Eagles were crowned National Champions The USA National Club Championships in all three age groups, Under 14, Under 16, and Under 19. 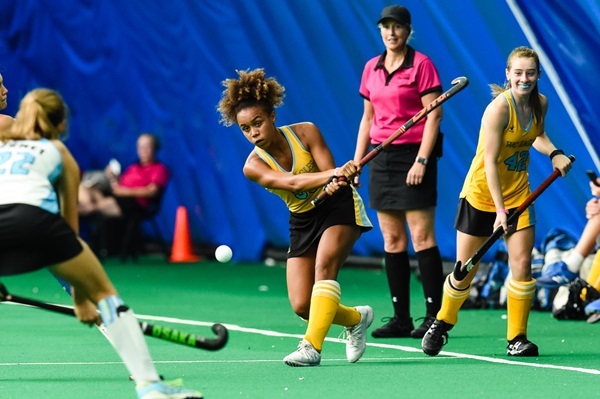 On their way to winning the Under 14 National title for an unprecedented sixth consecutive year, W C Eagles beat Wizards 23 – 0, Hymax (Maryland) 8 – 0 and Gateway (Missouri) 8 – 0 to win their Pool and qualify for the Knock-out stage. 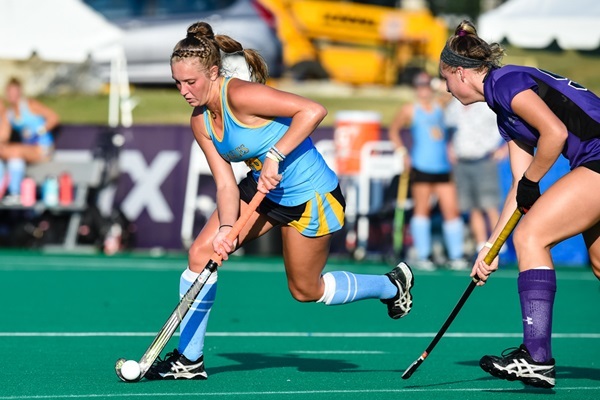 In the Quarter Finals W C Eagles beat Freedom (Maryland) 8 – 0, and Uprise (New Jersey) 10 – 0 in the Semi Final, to move in to the Final where they beat Spirit USA (New Jersey) 8 – 1 to finish with an amazing 66 goals for and one against and win their 36th consecutive game over the past six years. 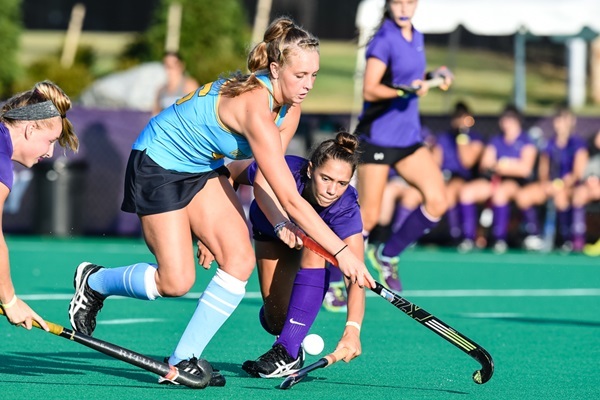 Ashley Sessa was awarded the High Goal Scorer trophy with 27 goals in the six games. 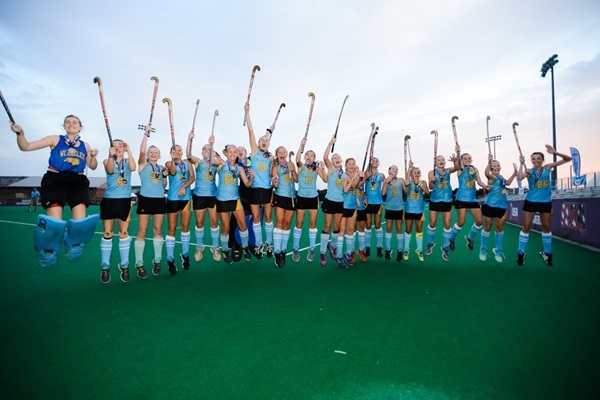 W C Eagles continued their winning ways as they won the U16 National Club Championship for the 5th straight year. 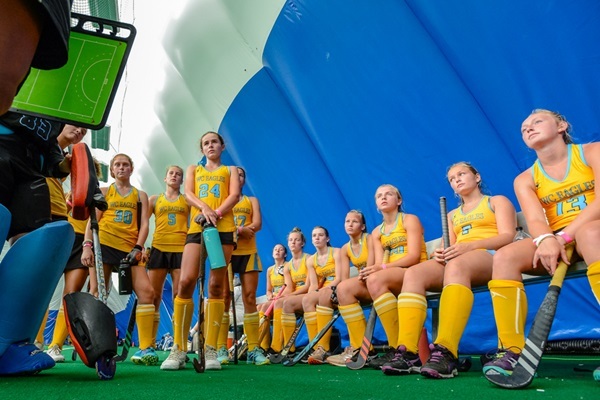 They won their three Pool games against Jersey Intensity (New Jersey) 5 – 0, Pinnacle (Ohio) 12 – 0, and AGH (Connecticut) 10 – 0 on their way to the Quarter Finals. 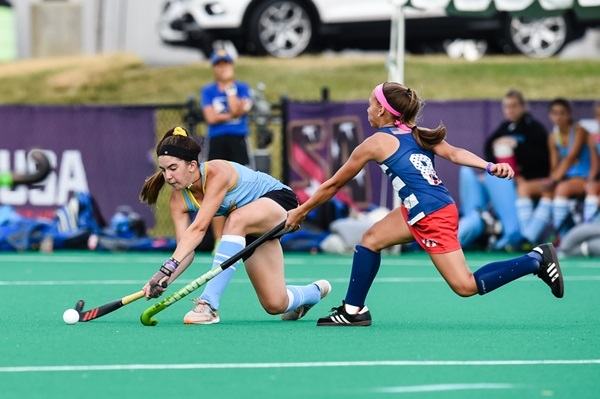 In the QF W C Eagles beat Gateway (Missouri) 6 – 1, the New Heights (New Jersey) 3 – 1 in the Semi-Final to move into the Final where they beat perennial foe XCalibur 3 – 0 to capture the U16 National title, and 30th straight victory, with a goal difference of 39- 2. 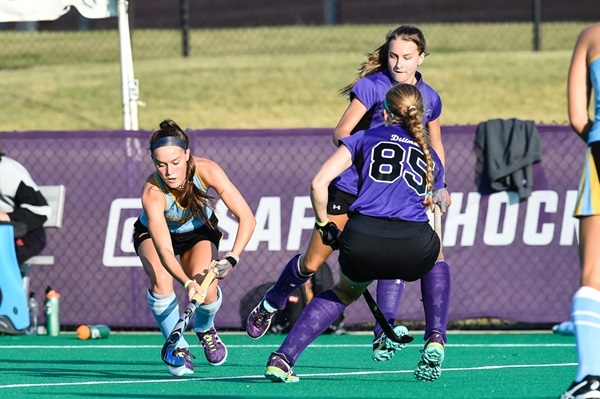 The High Goal Scorer Award was presented to Hope Rose with 13 Goals. 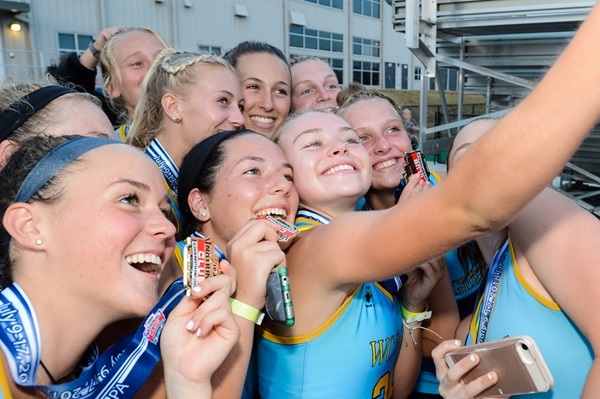 Moving on to the Under 19 age group, the talented W C Eagles Team set about capturing the U19 title with wins against South Jersey Edge (New Jersey) 9 – 0, Rush (California) 8 – 0, and North East Elite (Massachusetts) 3 – 1, in their Pool games. 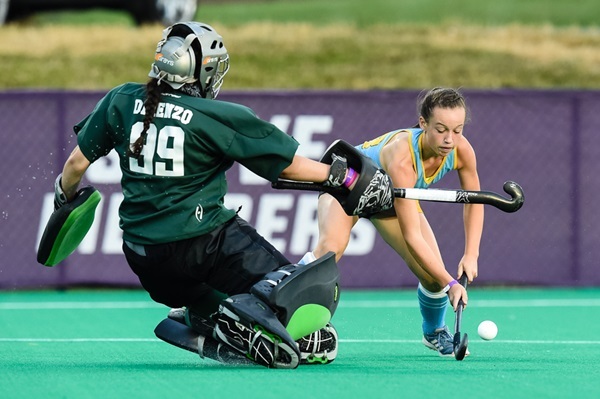 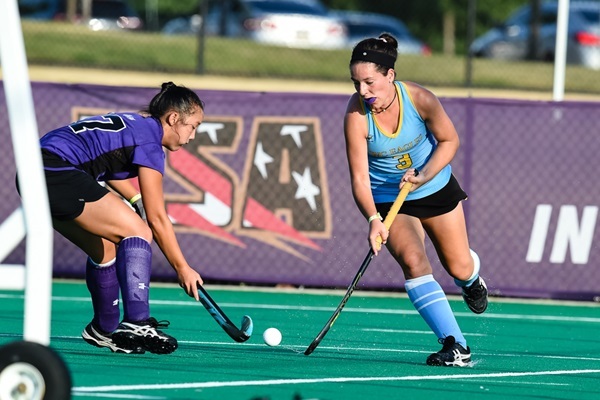 IFHCK (Kentucky) was their scalp, 8 – 0, in the Quarter Final. 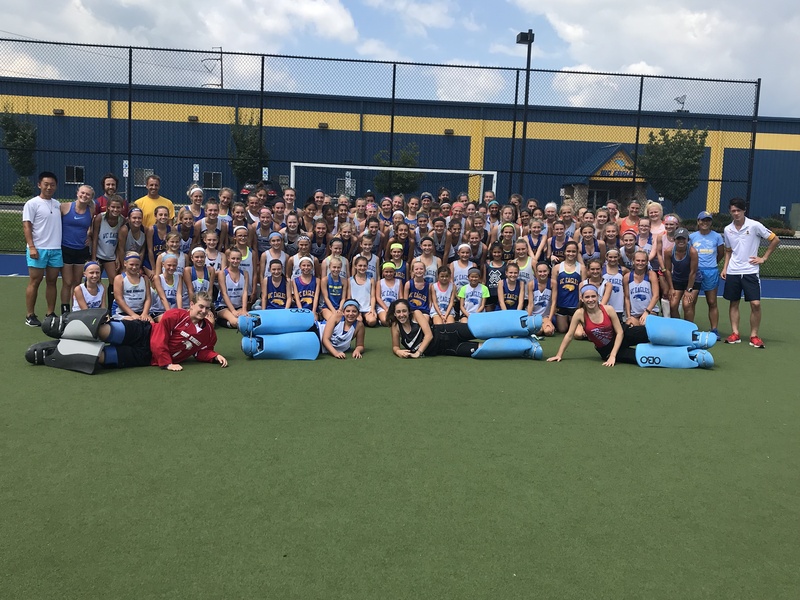 Beating TYCOYO (Virginia) 4 – 0 in the Semi-Final, W C Eagles rolled into the final where they beat neighbors XCalibur (Pennsylvania) 4 – 0 to win the Under 19 National Club Championship with a 36 – 1 goal difference, and complete the sweep of the National Age Groups. 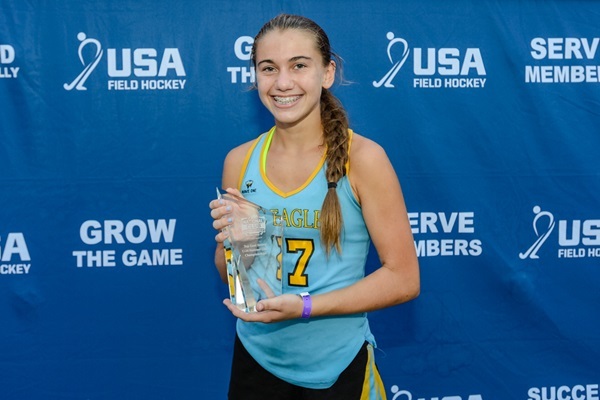 Paityn Wirth was awarded the High Goal Scorer Award with 8 goals. 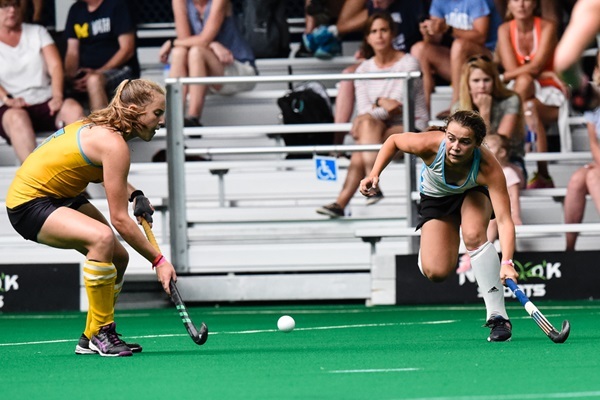 Over the course of the nine days, W C Eagles played fast attacking hockey, finding the spaces through the opposition defenses with good vision and early passes. 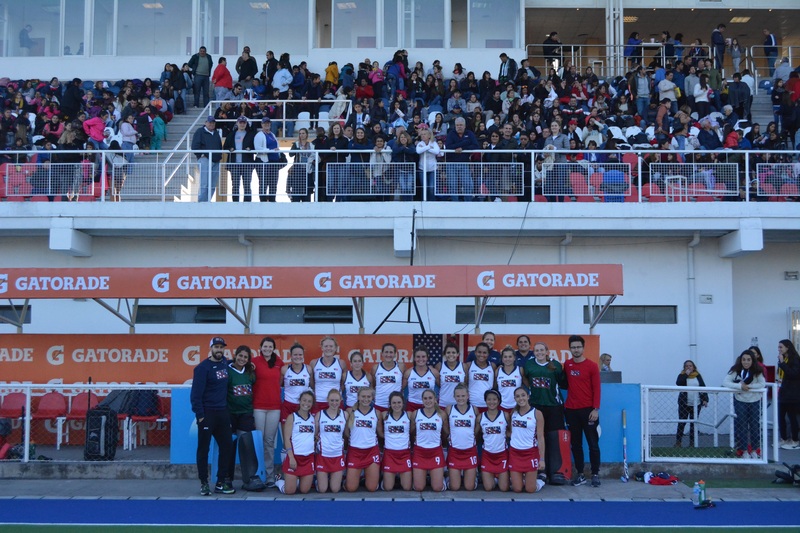 They won all of their 18 games, scoring an incredible 141 goals while conceding just 4.
congratulations to all the W C Eagles players, not only those who participated in the NCC, but also the players in the NCC Training Squads who worked extremely hard and pushed those selected to attain a new level of play. 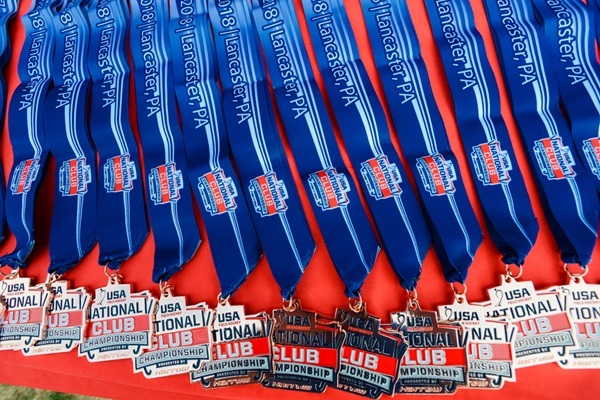 Having swept all three age groups, W C Eagles became the undisputed #1 club in the USA. 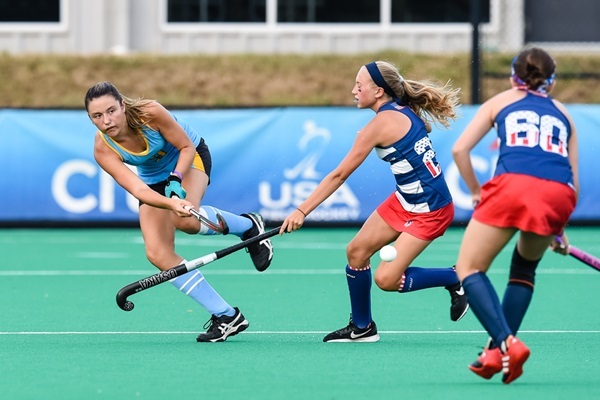 18 Year old Erin Matson has been selected to play for the USA in the World Cup in London, England from the 22nd July to 5th August. 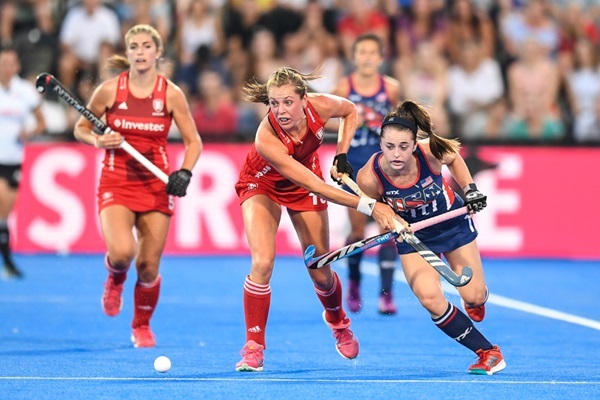 Erin will once again be the youngest member of the USA Team and will gain her 50th International Cap during this major event. 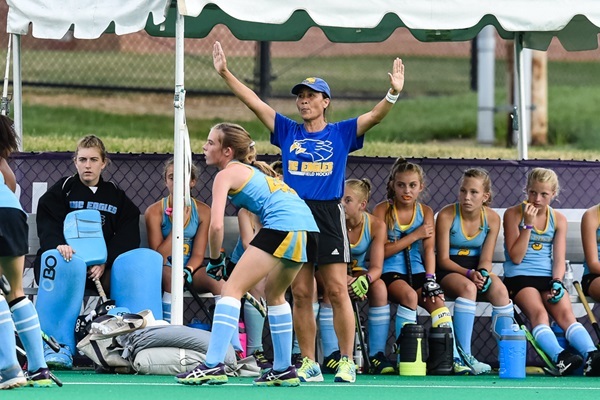 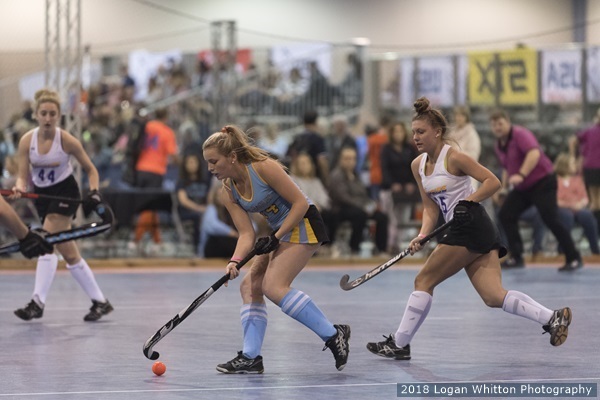 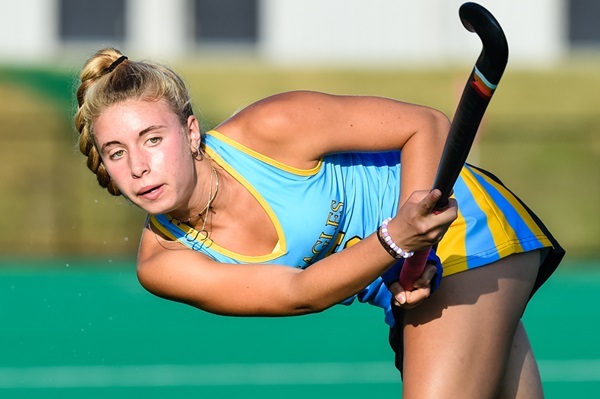 Erin was a member of W C Eagles teams which won both National Indoor Championships and National Club Championships in the U14, U16, and U19 age groups. 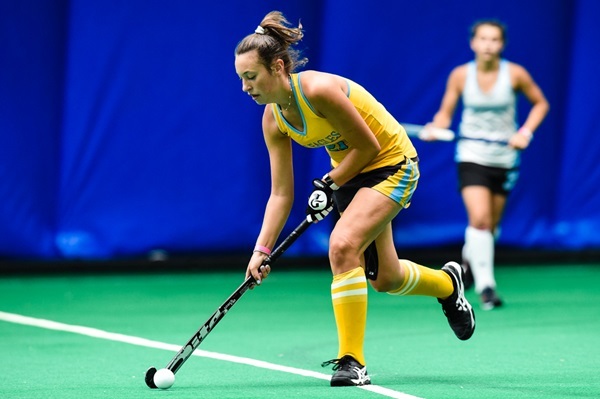 Erin also played for the USA National Indoor Team as a 13 year old, scoring the winner sudden death penalty shootout goal to secure the bronze medal for the USA in the 2013 Pan Am Indoor Cup. 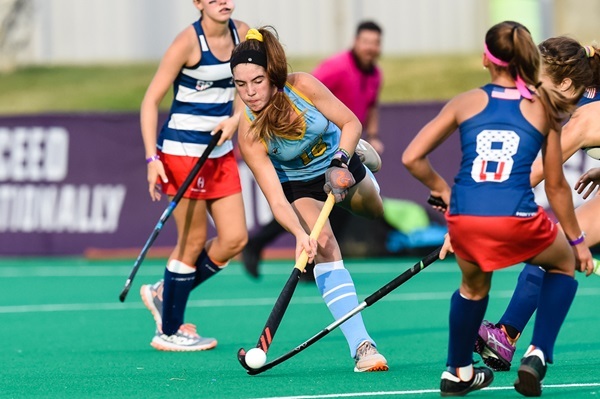 Erin Matson will be playing for the USA Women’s Team in the five test match series with World Number 2 Argentina, in Tucamon, Argentina, and Maddie Bacskai, Cassie Sumfest, Sophia Tornetta, and Corinne Zanolli, have been selected to play for the USA Under 21 Team to play against the Argentina Under 21 Team. 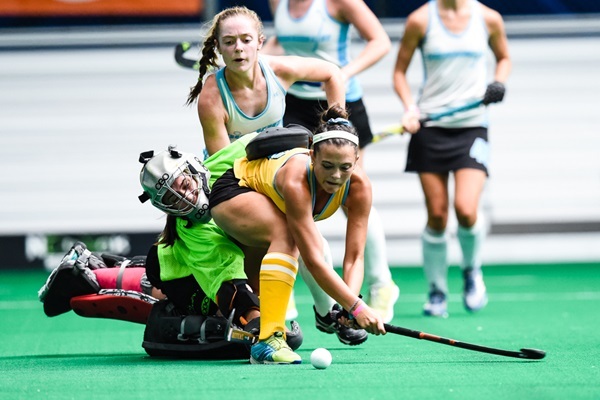 After four days of extensive training and evaluation at the Junior National Camp from the 5th to 8th July, the following 20 WC Eagles have been selected to participate in the December USA Junior National Training Camp from the 19th to 21st December, 2018. 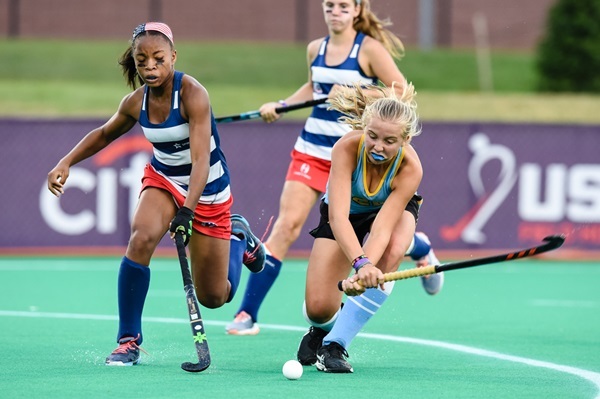 This is the final tryout to determine the rosters for the 2019 USA U17 and U19 National Teams. 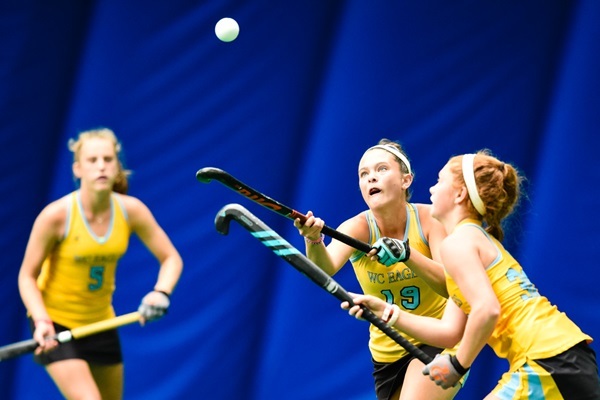 Following the recent National Futures Championships 26 W C Eagles have been selected to participate in the 2018 USA Junior National Camp from the 5th to 8th July, 2018. 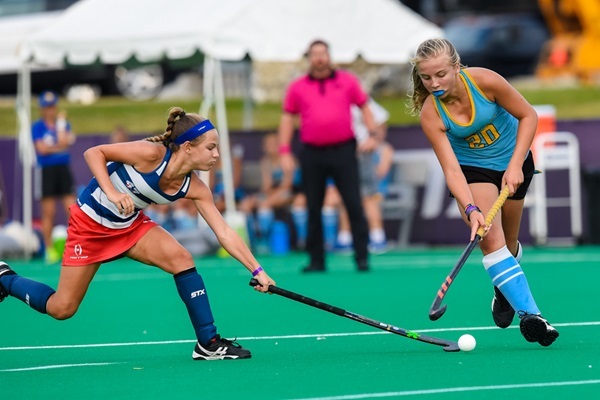 Congratulations to the following 26 W C Eagles who have been selected to play in the 2018 AAU Junior Olympics which will be held at the University of Iowa, in Ames, Iowa, at the beginning of August. 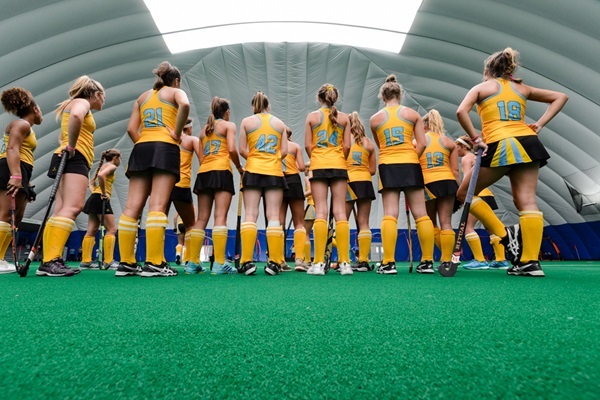 5 of our WC Eagles teams captured Gold Medals at the U19 NIT in Richmond VA, including Pools A, B, C, F and I!